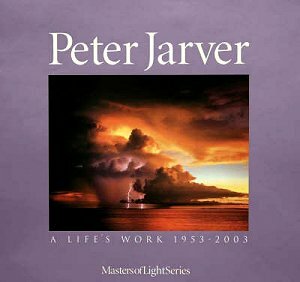 This book celebrates the rich legacy and achievements of Peter Jarver, Australia’s most accomplished landscape photographer. There are more than 150 pages, featuring stunning imagery of his best nature photography, brought together for the first time in a magnificent hard cover volume. Famous for his stunning lightning shots and dramatic pictures of towering thunderheads and turbulent skies, he excelled as one of Australia’s greatest landscape photographers. His work highlights the country’s changing faces, capturing timeless images in Australia’s Top End, Kakadu, the Red Centre, the Kimberleys, Far North Queensland and many other locations across this beautiful continent. What also sets this book apart is Peter’s personal commentary, sometimes touching and most often amusing, which accompanies many photographs and tells the story of inspiration behind that image. From the vibrant colours of the Top End to the green splendour of Far North Queensland, this book captures the unique spirit of Australia, through Peter Jarver’s remarkable photography. This beautiful collection, containing some of the most magnificent images ever captured of this land of stunning contrasts, will make a splendid coffee table book or gift for someone special.